Semi-Permanent Make Up services are designed to give guests more freedom during the day be eliminating the need to apply eyeliner to the lash line for that more awake look. Lash Enhancements and Eyeliner semi-permanent services are available at Arxegoz Beauty. Our soft-tap method is the best method in receiving semi-permanent make up. Guests can come in for a consultation with one of Arxegoz Beauty’s Semi-Permanent Make Up Artists. Consultations are important for guests and Artists to map and arrange the first session of Lash Enhancement or Eyeliner, then schedule the 6 week follow up that is needed. Liner Correction: If you’re a guest of another studio looking to correct previous semi-permanent make up around the eyes, our Artists are available to meet with you to discuss color and brow correction. 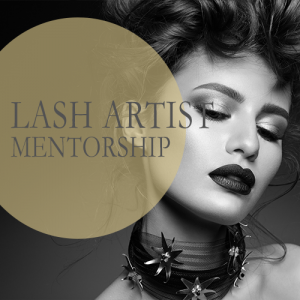 Book a consultation appointment to meet with an experienced semi-permanent make up artist who will hear your needs, educate you about the process and – when you’re ready – book an appointment for lash enhancement or eye liner. We’ll review your paperwork and the plan we made together at your consultation. If you’re ready to move forward, we will choose a pigment, take photographs, map your lash line and complete your procedure. Regardless of whether you choose Arxegoz Beauty for semi-permanent eye or lip makeup services, we encourage you to thoroughly research your options, take your time and remember that you’ll be living with the results for a while. Make sure that you’re comfortable with the process and your artist — don’t settle for less! *Consultation will determine whether services appropriate, then refer to an artist for service.